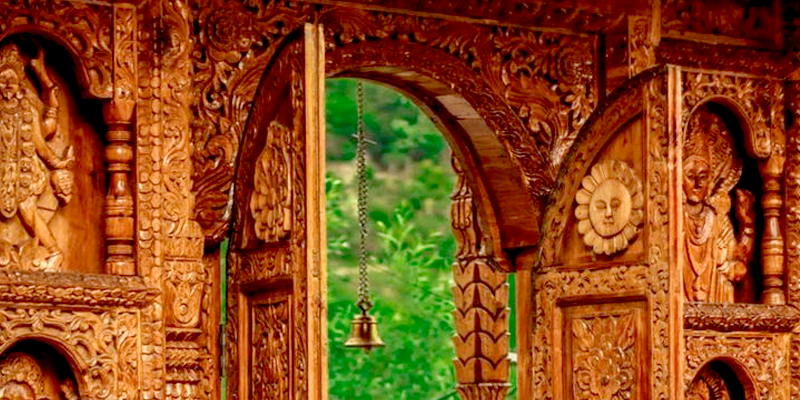 North India is filled with the magnificence of natural beauty and heritage. One such tranquil place, blessed with natural beauty in its finest form, is Sangla Valley situated in Kinnaur district of Himachal Pradesh. This valley is one of the most beautiful landscapes you’ll ever come across, and one gets the best view of its splendor from Kamru Fort. Situated at a height of 2680 m above sea level, this fort has a lot of history associated with it. Not only that, Kamru Fort nestles a 15th century old shrine of Lord Badrinath which makes the place sacred. Moreover, the locals believe this fort guards the whole valley from evil spirts and helps ensure integrity. Just 2 km away from Sangla Valley, Kamru Fort is for people seeking spiritual peace and savoring what nature has to offer from its limitless treasure of secrets. Moment you reach the series of gates at this fort, you’ll feel an air of calmness and bliss about the place. A statue of Lord Buddha on the main gate blesses the visitors and prepares them for a session of eternal peace. 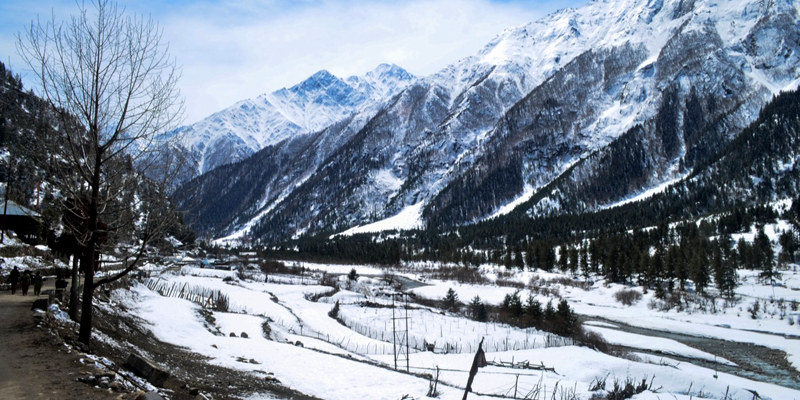 The surrounding villages with their orchards, dense trees and snow-capped Himalayan mountains encapsulating the whole Sangla Valley will mesmerize the visitors. In fact, the view of Sangla Valley is spell-bounding from Kamru Fort, and for photographers it is nothing less than a treasure island. You’ll be spoiled for choices when pointing your camera lens at the vivid landscapes all around. The fort is a five-storey building, where you can see traditional wooden carving architecture all around and there is a wooden balcony which complements the place well. There is an idol of Kamakhya Devi on the third floor which is believed to have been brought from Guwahati. The shrine of Lord Badarinath is the main centerpiece of the fort and to honor the deity, a fair is held once every three years. The fair has a procession where the idol of the deity is taken to Gangotri and there are many legends associated with the same. 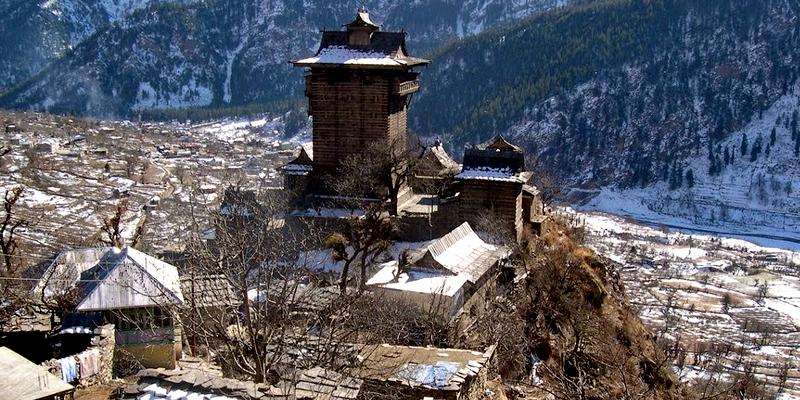 One of the significances of the fort is that rulers of Kinnaur district were crowned here. When to visit Kamru Fort? 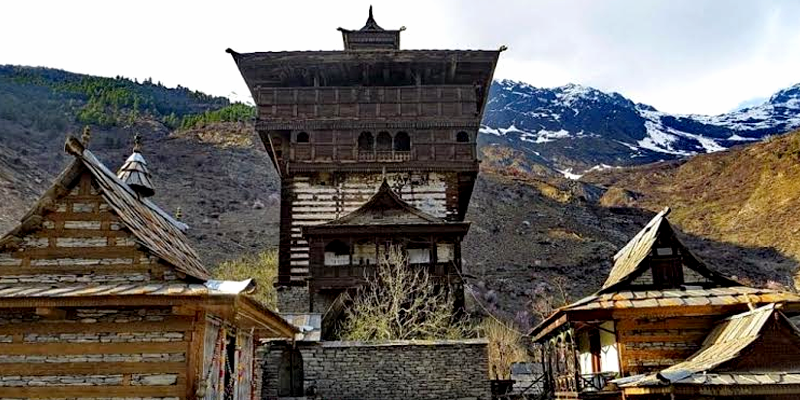 Best time to visit Kamru Fort is from April to May or September to October when the Sangla Valley is in its full bloom. You can visit it anytime of the day from dawn to dusk. You need to wear a cap and belt provided by the caretakers before entering the fort to honor the local deity. Thankfully cameras are allowed inside the fort without any charges. 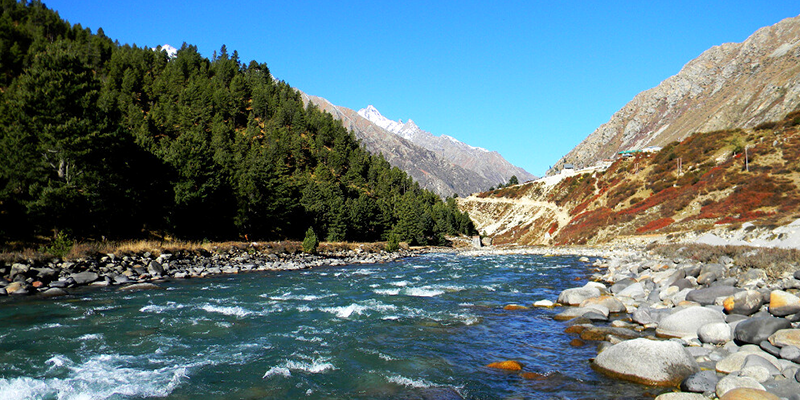 When you visit the Sangla Valley, don’t forget to visit some of the below mentioned attractions of the Valley. Sangla Kanda: Also known as Sangla Meadows, this one-day trek of medium difficulty level through the glaciers and spell-bounding nature-scapes including the view of Kinner Kailash Peak. Idea of camping in the lap of nature is also a good option for adventure seekers. Baspa River: If you come to Sangla and don’t visit the Baspa River you’re surely missing out on something. Just like the Kamru Fort, it gives you the 360-degree-view of the mountains and landscapes. You can pass time by fishing, sitting by the riverside or perhaps meditating to detoxify your mind, body and soul. 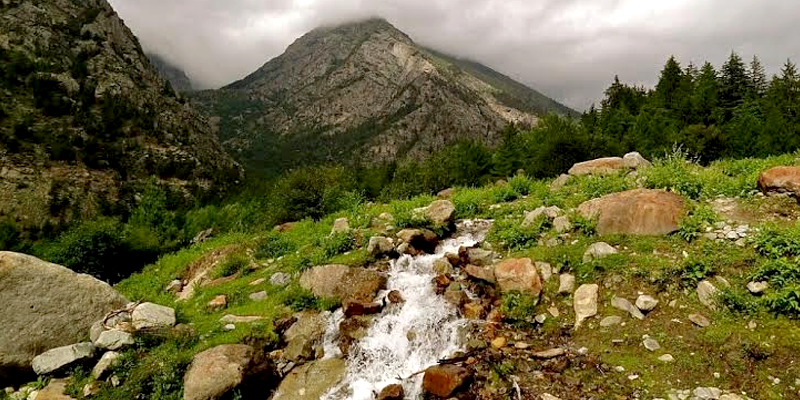 Rakcham: This village has its fair share of scenic splendors and it is just 13 km away from Sangla, which makes it a must visit destination for every guest to the valley. Rakcham is well connected by road, but a better option is to go on a long walk of 1-2 hours to enjoy the village to the core. Chitkul: Another must visit destination near Kamru Fort is Chitkul, which is the last inhabited village of India towards Tibetan border. 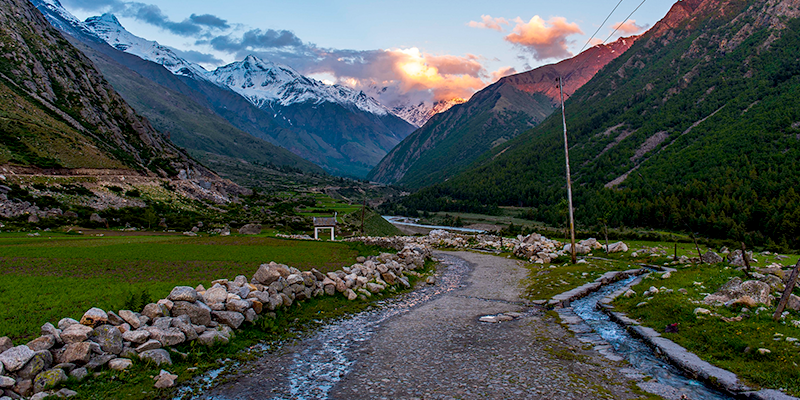 Situated 23 km from Sangla, the place is tranquil and you can take a 5 minutes’ walk to the Chitkul River. On your way you’ll experience the essence of village life infused with the magnificence of the Mother Nature. Buddhist Monastery: If you are really short on time and can’t visit any of the places mentioned above, go and visit the Buddhist monastery known as Brelengi Gompa located near Rekong Peo. How to reach Sangla Valley? Nearest railhead is Shimla railway station, which is about 230 km from Sangla Valley. Buses and taxis are readily available from Shimla railway station for journey to Sangla Valley.